Sanitizers Vs. Disinfectants - What's the Difference? 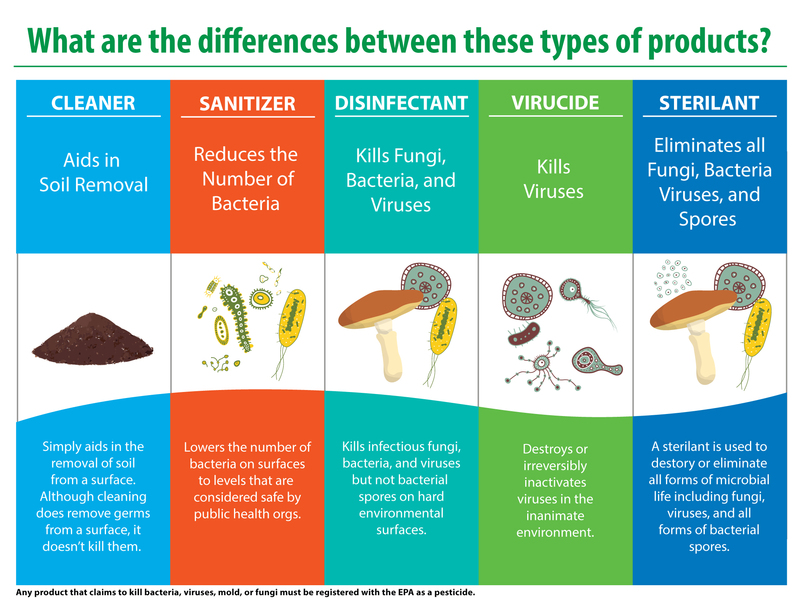 One of the most common questions that we get here at EnvirOx is "what's the difference between a sanitizer and a disinfectant?" It's easy to understand why people get confused. There are a lot of different products out there, sometimes even within the same brand name, and the distinctions between each are not always clear. However, it's critical for cleaning staff to understand the differences because it can make a huge impact on the quality of their work. If the right product isn't used for the right job, it can mean they aren't effectively getting rid of the germs and other agents that impact occupant health. Finally, if they're using disinfectants when they're not needed, they could be wasting money.